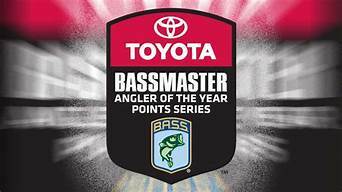 Berkley has added more options to the MaxScent product line. The new soft bait material releases a super-charged scent field attracting fish in a way never before seen. Berkley now offers a soft bait option infused with MaxScent in a wide variety of style options to set anglers throwing anything from finesse drop-shot worms to heavy-duty punchin’ craws. 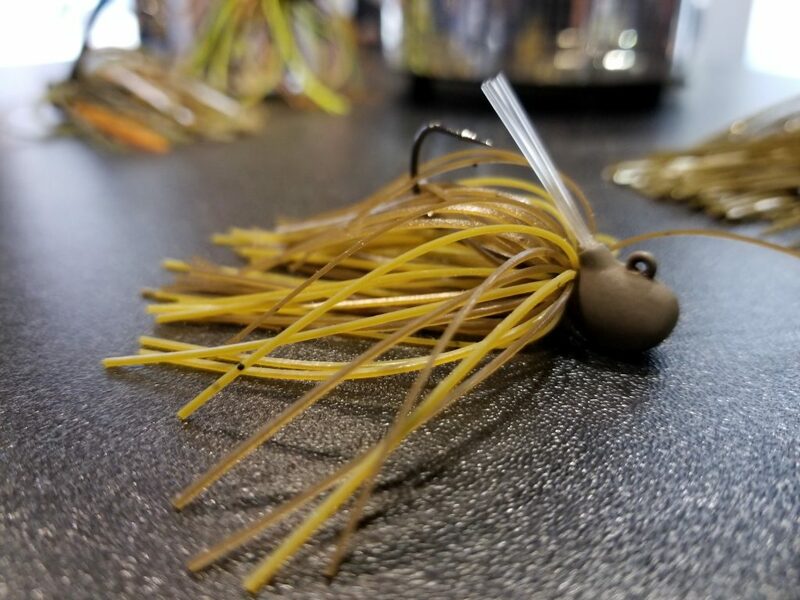 A true cold water fish catcher, the Spro Hair Jig is a new treat for northern smallmouth anglers to drool over. 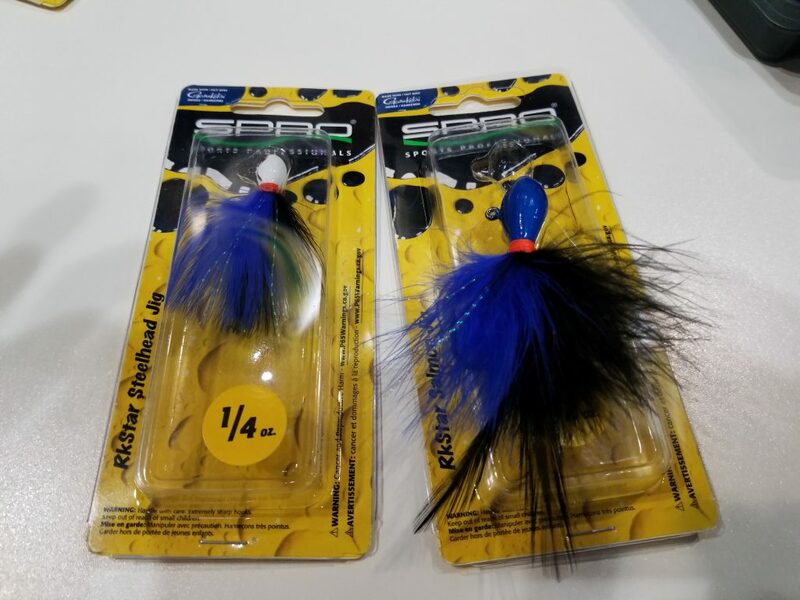 Spros’s attention to detail does not go unnoticed – the polished paint design blends perfectly into tightly tied strands of high quality marabou hair. 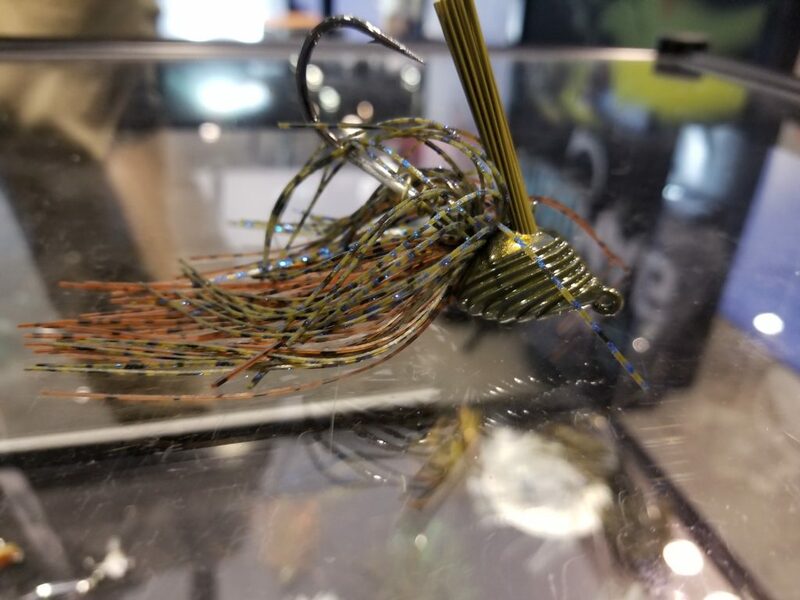 In addition to being a great bass lure, this hair jig is likely to be a multi-species fish crusher. Built with an extremely strong hook, with other hardy features, this is the ideal jig to fish with braided line. 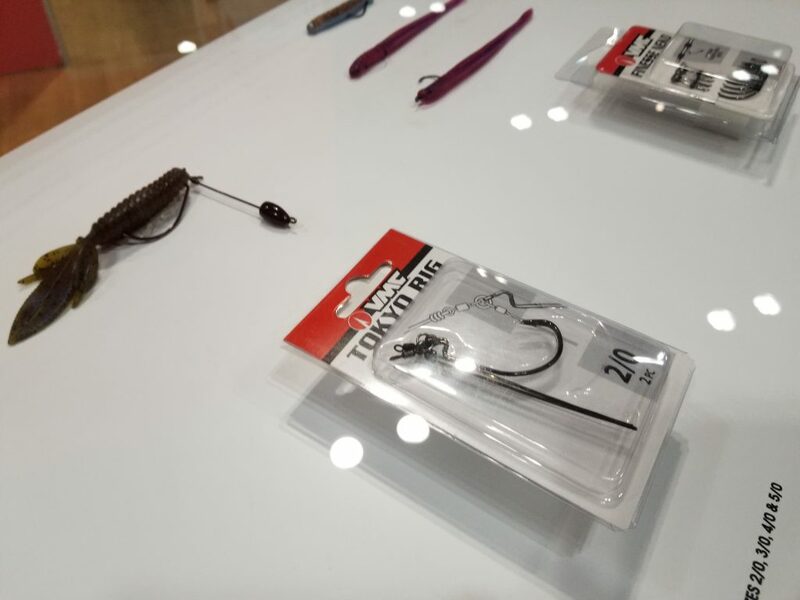 The beefed up design will help you fish around the nastiest cover without having to worry about bending out hooks when winching out a big one from the thick stuff. Pair this bad-boy up with your favorite swim-jig trailer and you’re ready to do some damage. 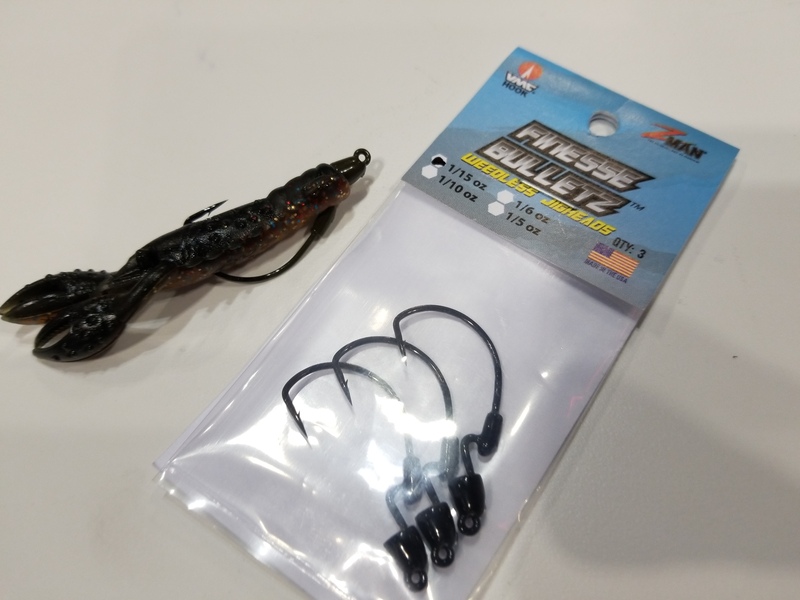 The Finesse BulletZ is another innovative finesse offering from the team over at Z-Man. 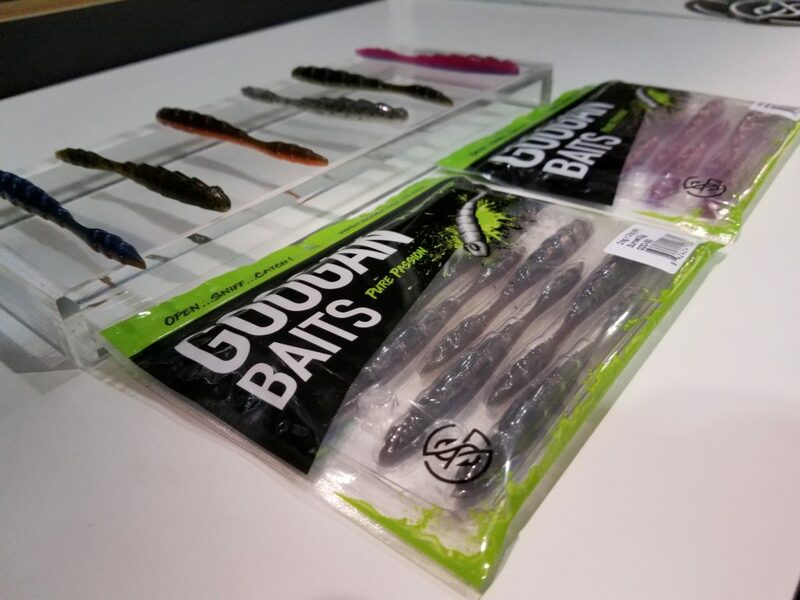 This new deal allows you to now fish ‘Ned Rig’ style baits around grass, wood, docks and cover without having to worry about getting hung up. Put small finesse plastics baits in areas you couldn’t before with this sweet little new deal from Z-Man. The newest member to the Bill Lewis line-up, the MJ-6 looks to be a flat out fish catching machine. 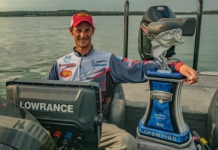 Designed with help from Elite Series pro Mark Daniels Jr., rest assured it’s going to put them in the boat. Easily match any forage option with one of the many colorways provided with this model option. Start crankin’ em up fast with this new treat. Molix has done it again, providing a unique new take on an age old presentation. How? 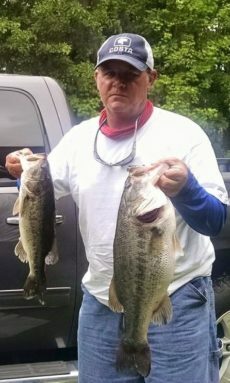 They took some of the very best features from different jig styles, and shrunk them down to a game changing finesse jig. Finicky largies and rock dwelling smallmouth don’t stand a chance with this one. 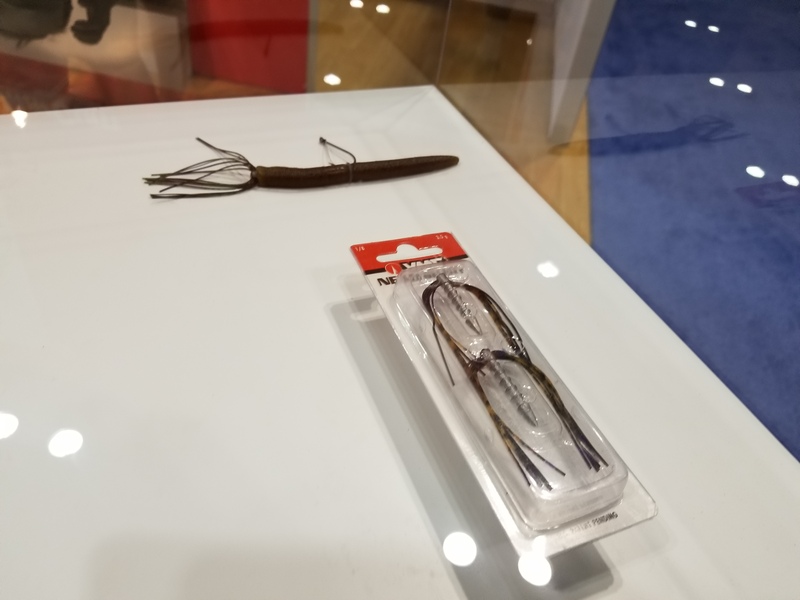 Paired best with light line, this jig will be an ideal tool for catching clear water fish reluctant to bite. 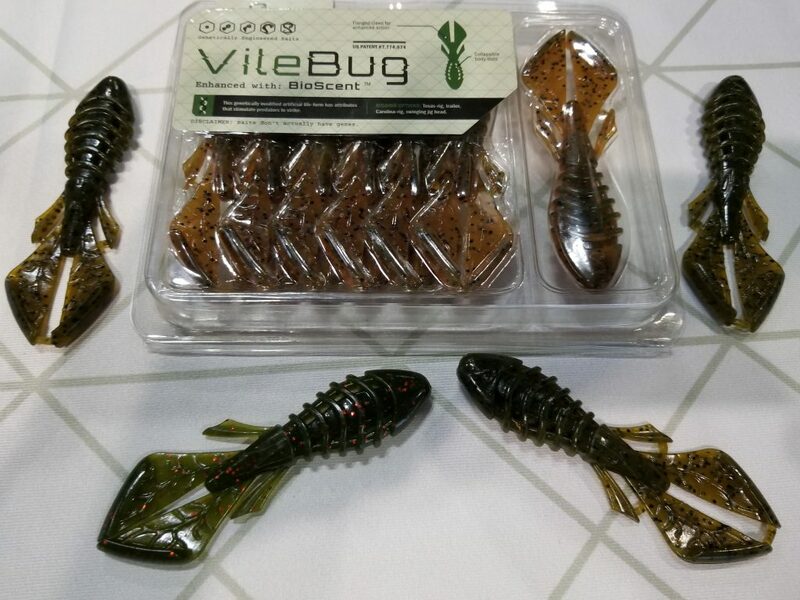 The all new BioSpawn Vile Bug is a hybrid creature flipping bait that really has caught my eye. The kicking craws and ribbed design help displace water along with body cavities that provide a perfect area to add scent. This new set-up is going to a true fish catching machine with a look and feel unlike anything else available today. 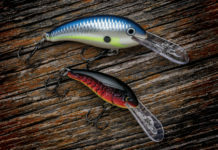 Designed by Alex Peric, the Googan Baits Drag and Drop is a finesse killer. The 4 inch drop shot worm had a baitfish profile that comes in a bunch of fish catching colors. Whether you’re fishing offshore or on a tough bite, this little bass snack should be able to produce a bite. 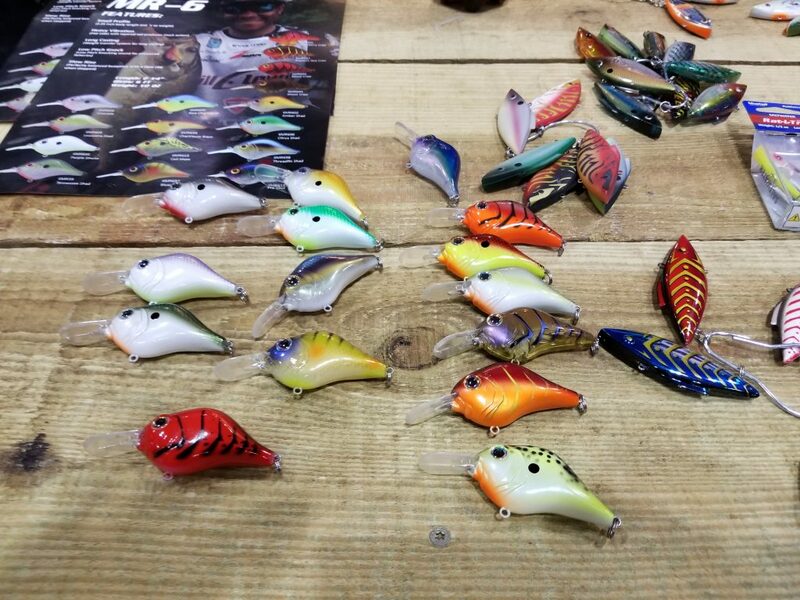 Easily one of the most exciting baits to see at the show, and for good reason. 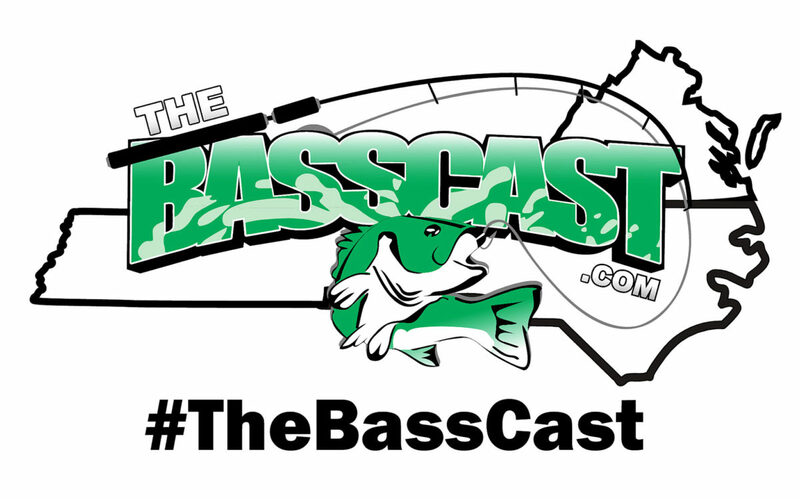 13 Fishing hit the ground running this year by launching a new line of hard bait options. 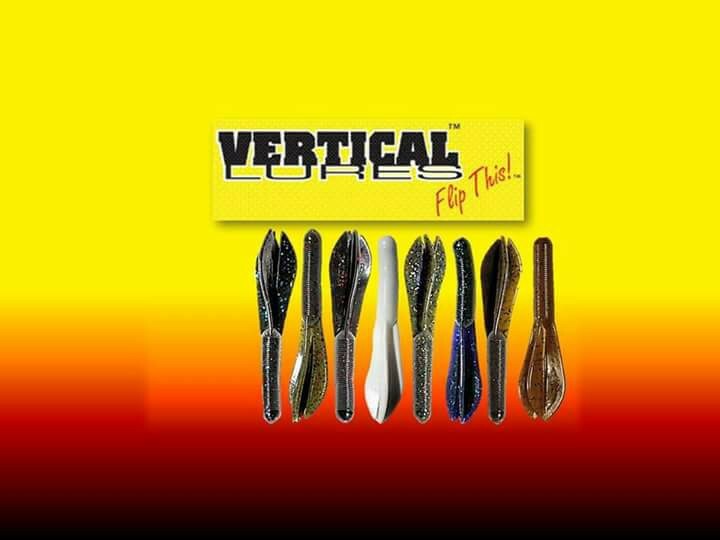 The Pro-V keel weight design helps provides a tight wiggle that refuses to lay-over. 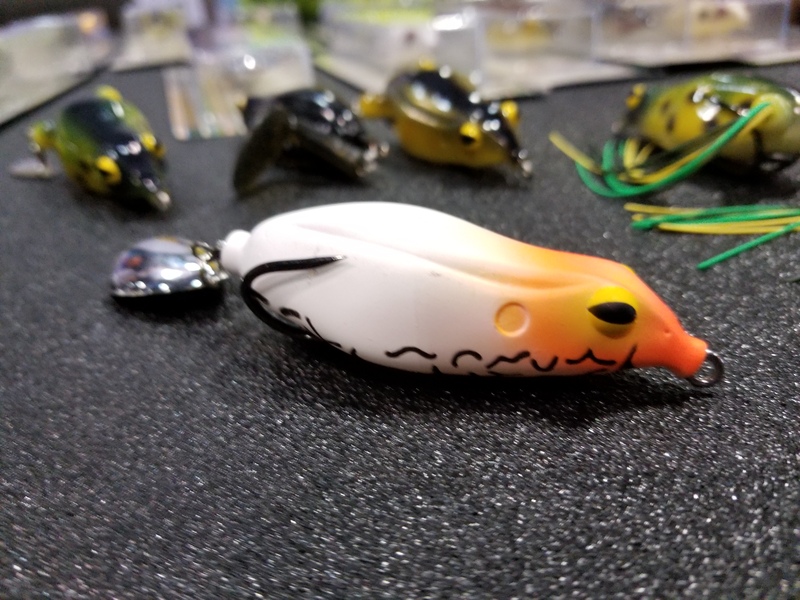 Rip it through the grass without worrying about your bait running true, the compact design and weight distribution will help this cast a country mile. 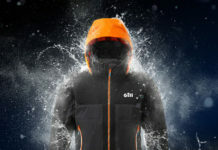 13 Fishing continues to push the envelope with this excellent addition to their line-up. 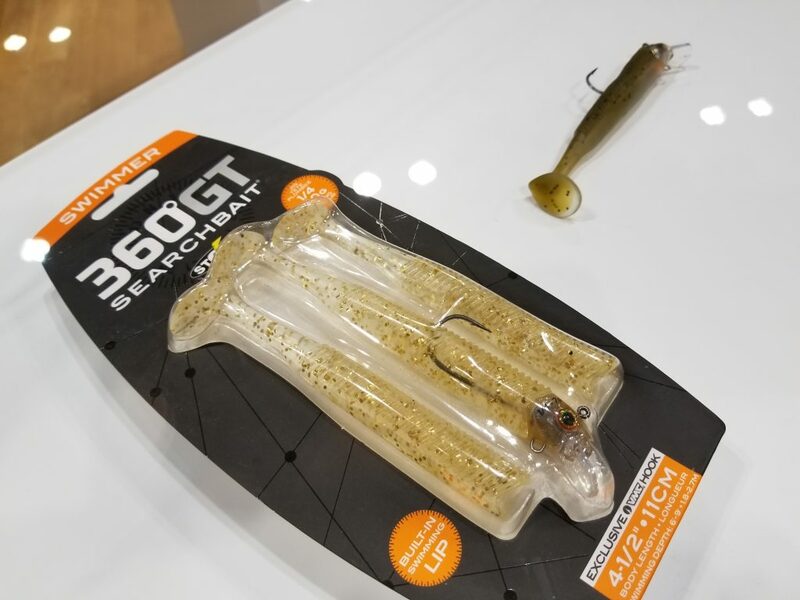 Storm’s 360GT Searchbait now has a new design option. Now available in a ‘billed’ option the 360GT comes with a built-in swimming lip that will allow the bait to get down to a precise depth. 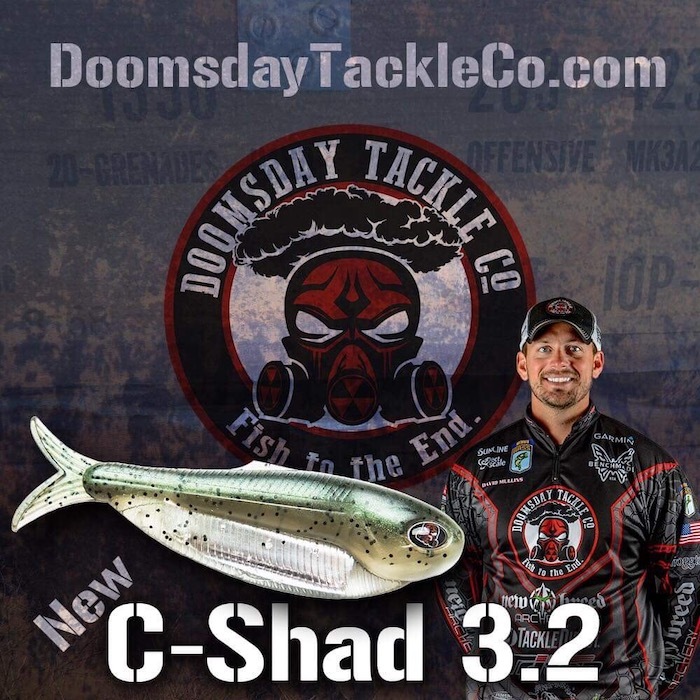 You can now throw a swimbait at a fixed depth allowing you to dial in your depth presentation, without worrying about where you’re bait is in the water column. The VMC Tokyo Rig leader punch shot is a welded ring hook attached to a two-way swivel extended to a wire leader. The open leader design allows you to add any weight you’d like to customize a punch shot rig on the fly. 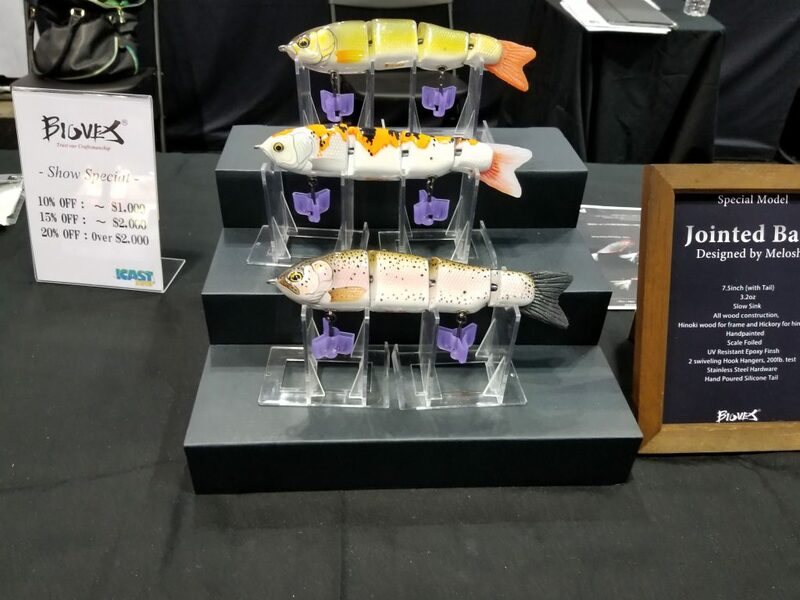 Change up your punchin’ game and give the fish something they haven’t seen before with this unique set-up from VMC! 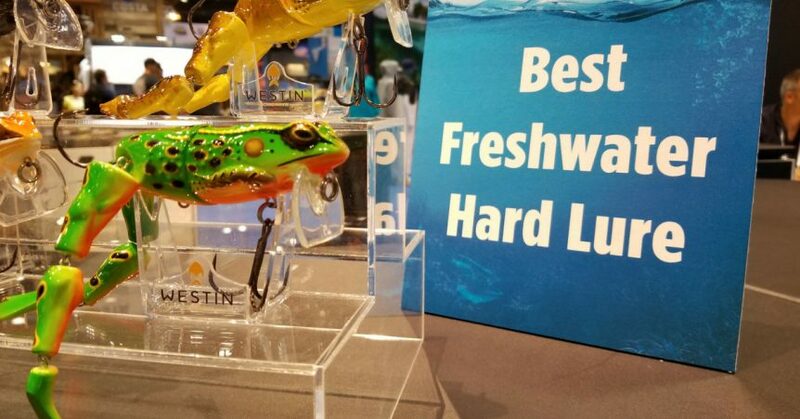 Winner of the Best Hardbait ICast 2018, ‘Freddy The Frog’ from Westin is a work of art. 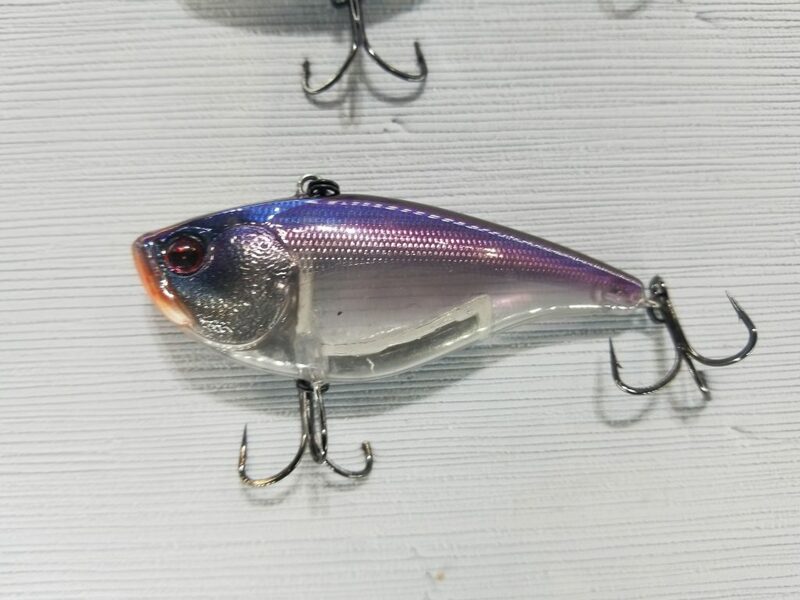 It not only looks like an incredibly crafted bait but it also has an insane swimming action that screams big fish. Without a doubt one of the most unique baits we’ve seen this season in the packaging and on the water. The jointed body and kicking legs produce a ton of drawing power upon retrieval. The Teckel Sprinker was possibly the hottest lure of 2017 and they’ve done it again this year. 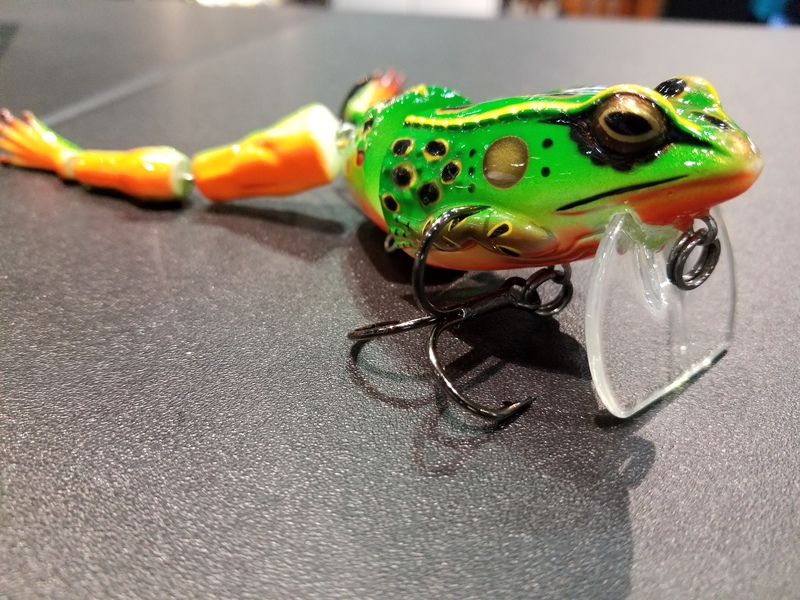 By offering new colors and accessories to their line-up they’ve been able to keep things innovative and fresh while staying at the forefront of the top-water frog game. Adding another look to the traditional neko rigs, the VMC Neko Skirt gives off a fresh, finesse bait that can only help you get a few extra bites. Rubber and silicone that is threaded through the weight and held in place with an epoxy resin providing a firm hold that will last for multiple outings. Add some hair to your Neko Rig set-up to put a few more in the boat this season. 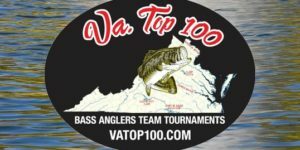 The jointed swimbait from BioVex may leave your arm sore after a day on the water but it’s also one of those baits that is mentioned in a story about landing a personal best bass. Big fish like big baits, and BioVex has produced something your local lunker will not be able to resist. 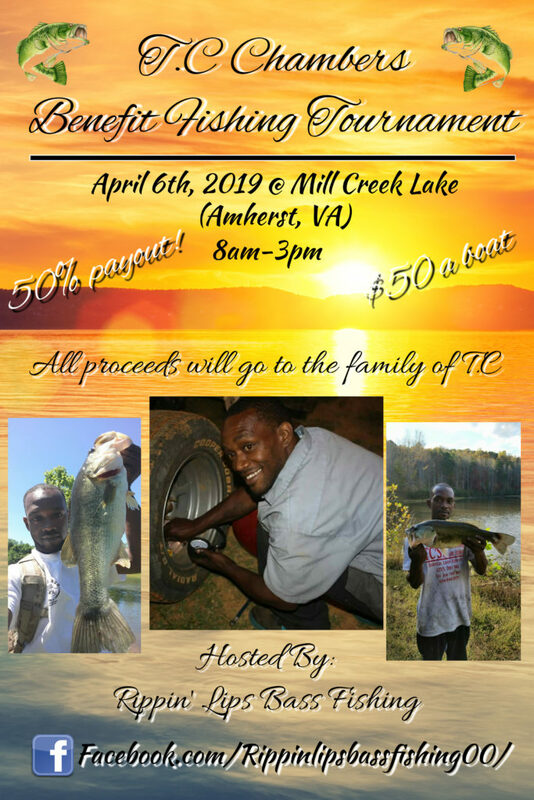 Pull out the big stick and find the biggest and baddest fish in the school. 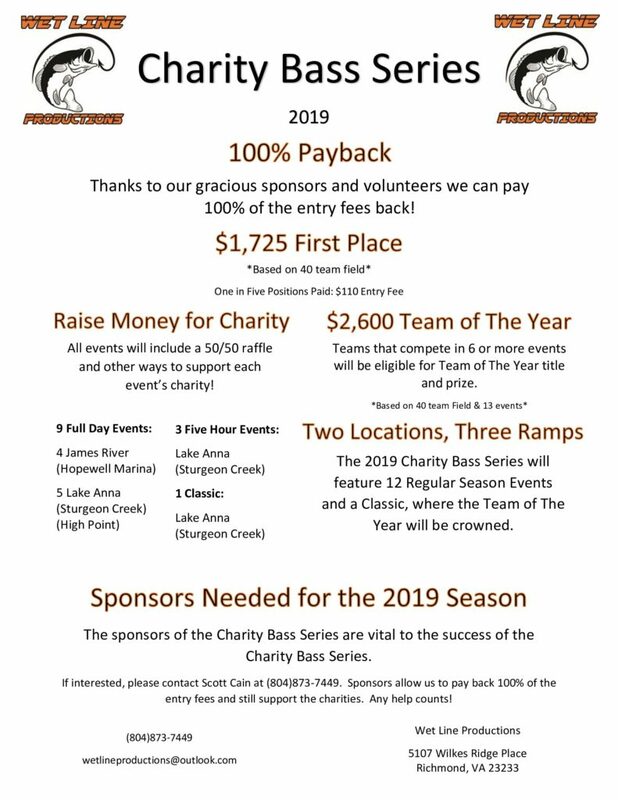 Ready To Catch Some Fish? 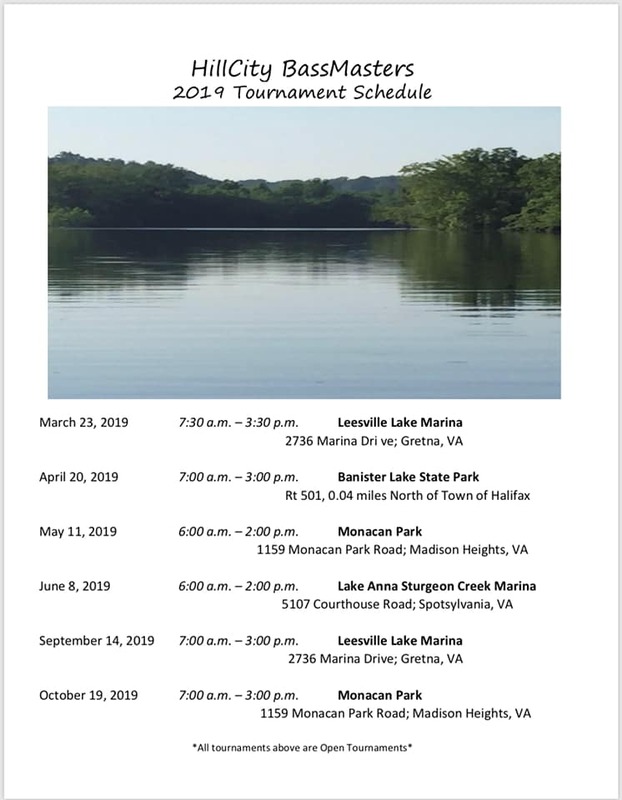 Gear up and catch more fish! 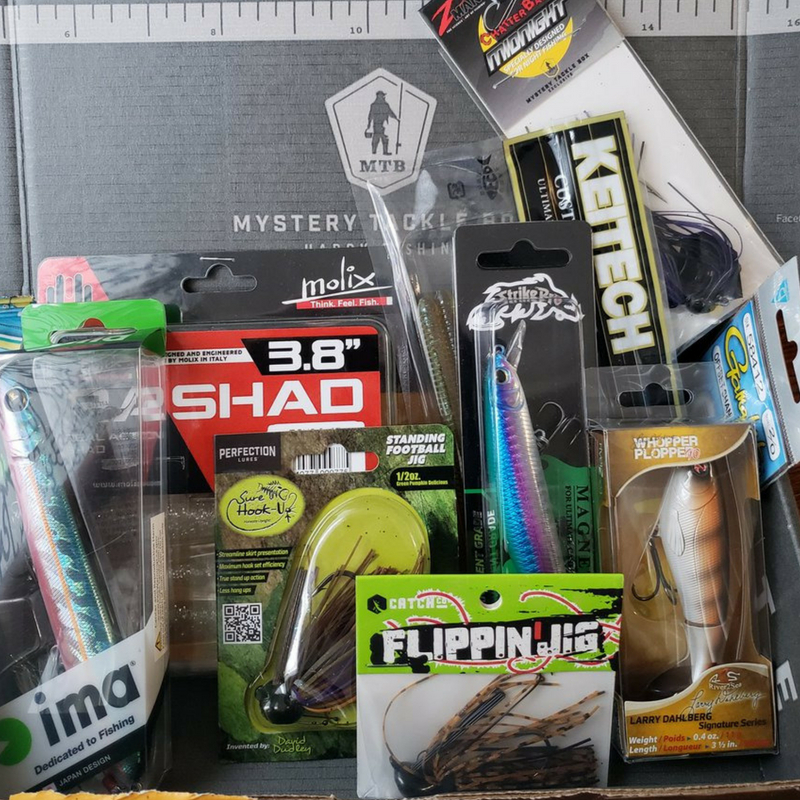 With a Mystery Tackle Box Subscription, you’ll get a box of baits hand delivered to your door each month. 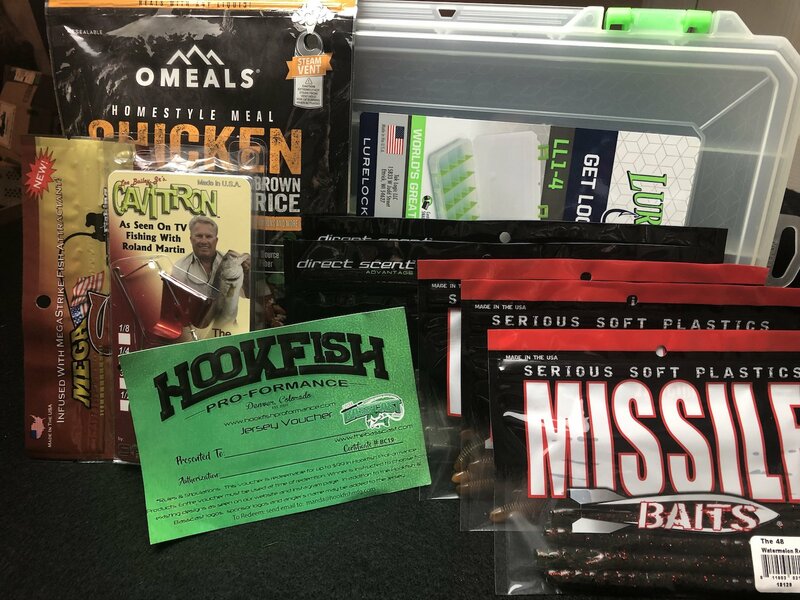 In addition to the best new baits you’ll have access to our expert tips, how-to videos, fishing decals, MTB exclusive baits, and more. 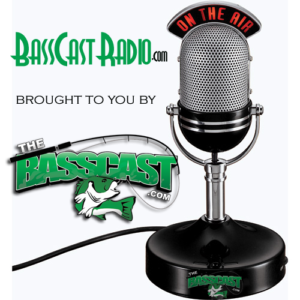 With baits up to 40% off retail, this is one service every angler needs to try!